A recipe is a set of instructions to prepare a particular dish, including a list of the ingredients required. And for any delectable dish, it’s the combination of the right ingredients that lead to success. And in this post, we’re going to apply that mentality to landing page CRO. We’ll cover the essential ingredients you need and how to use them for optimizing conversions. But before we do, let’s set our eyes on the prize. 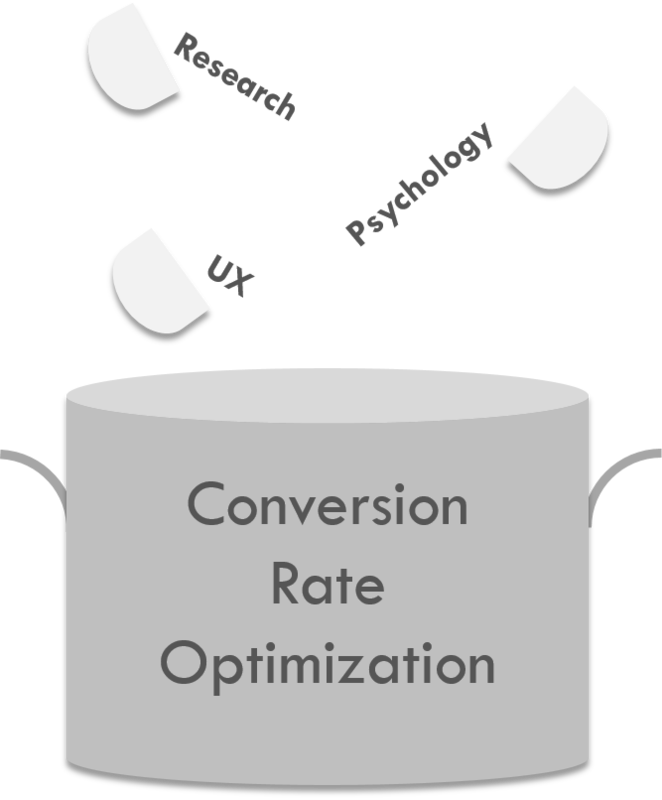 Conversion rate optimization is a system. It combines visitors psychology, UX, and analytics to increase activity for a page, website, or application. So with our definition in mind, let’s dive into specific ingredients in the landing page CRO recipe. Relevance and consistency are about aligning expectations with your offer. And this comes even before a visitor hits your landing page. Think of your landing page as an extension of your ad. It might sound obvious, but a lot of people ignore this. When a visitor clicks on your ad and receives an offer which is completely different than what you promised, there is miss-alignment. And this leads to a low conversion rate. The message matches. Both the ad and landing page copy focus on generating demand. The promise we make in the ad copy translates to the landing page content. 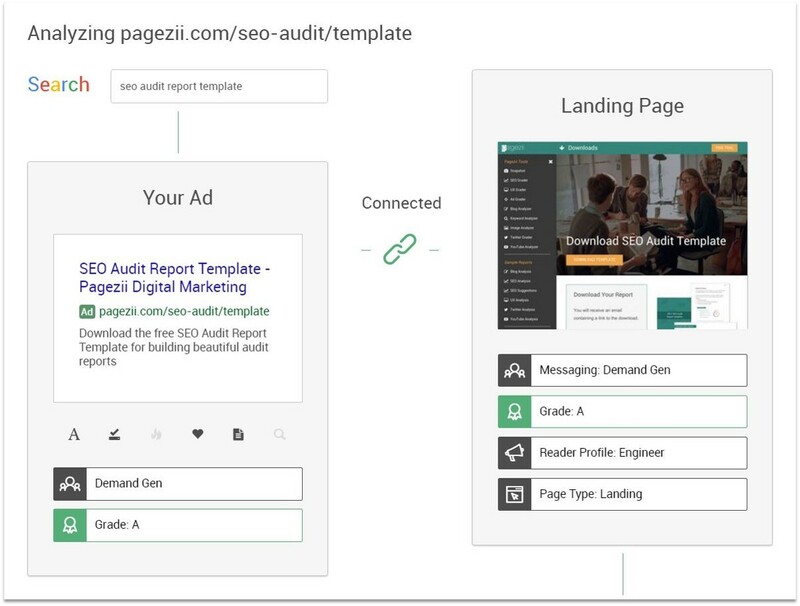 Want to see if your ad and landing page connect? Then give the Ad Grader Tool a test drive now. And when it comes to relevance and consistency, think about how visitors come across your page. The most important part of any landing page is its relevance in the eyes of those who come across it. If you’re purchasing ads on Google, you should take note of the audience and search queries you’re targeting so you answer any question the audience might have. Even if you’re not relying on paid advertising, take note of the organic searches that are sending the largest audiences to your page. 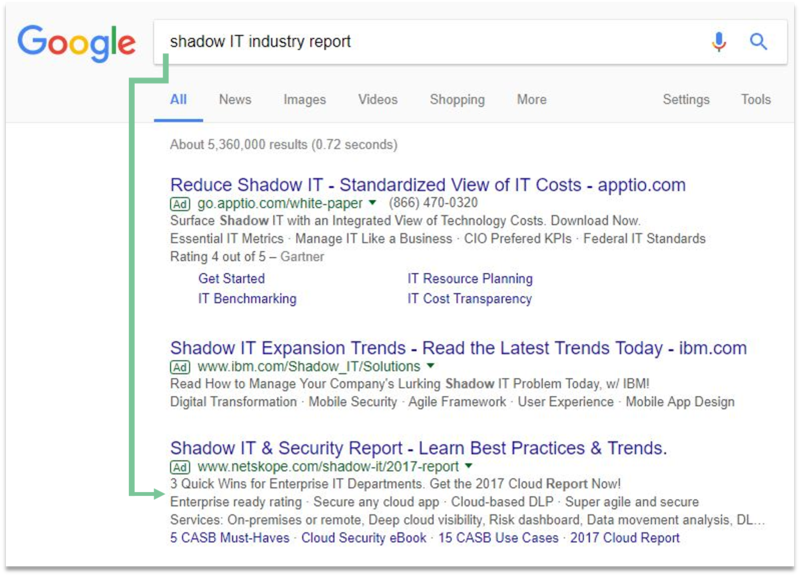 It’s important to optimize further for these search terms and focus on providing value to those who have questions relating to it. Page layout, color schemes, and other design elements are important pieces in the CRO puzzle. But this comes second to relevant content. I’ve drawn an arrow to the result with the highest relevance. Because the ad matches well with my query, I’ll click there. And when I hit the landing page, I see content directly related to my initial search. And because relevance aligns throughout my experience, I’m likely to download. This spells success for landing page CRO. Now that we’ve covered ingredients before visitors hit your site, let’s look at the landing page itself. We all know to include visuals in our content. Like adding a pinch of salt to any cooking dish. Because visuals convey your message quickly. And combining visuals with text is a one-two punch for landing page CRO. A key aspect of landing page CRO is the feature image, also known as the hero image. 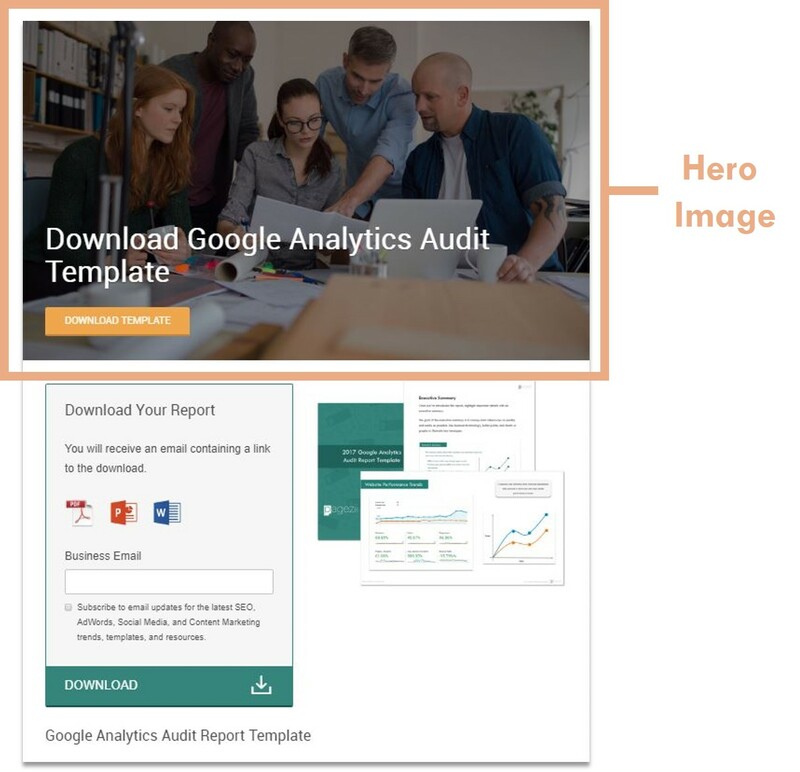 Case studies from Dell and KinderCare have shown that hero images can increase landing page CRO and decrease bounce rates when the hero image is recognizable, easy on the eyes and shows exactly what your business does. The brain processes images 60,000 times faster than it does text. So having a hero image that tells the viewer what the page is about in 5 seconds or less is critical to creating a high-converting landing page. 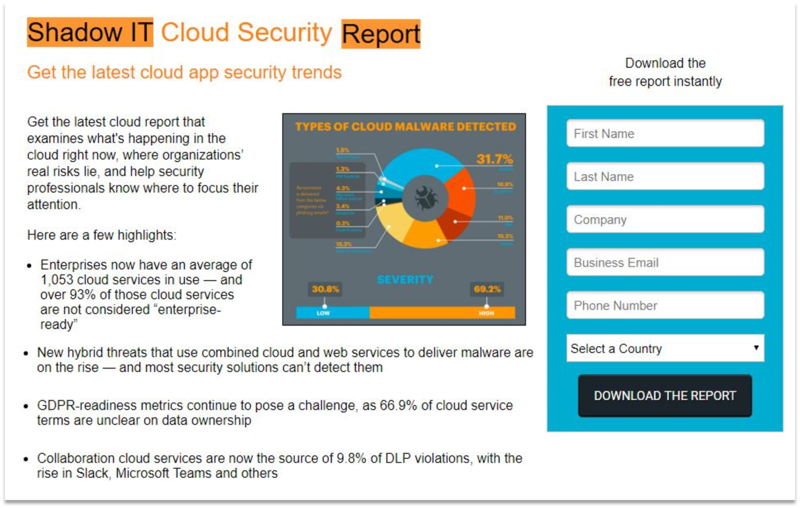 The downloader can share their report with the team. The team looks engaged and gets value from their efforts. And because the team understands the audit report, the downloader can get their recommendations put into action. Just like how a pinch of salt brings out the flavor in any dish, think of a powerful hero image the same way. Some of the best recipes only use the essentials. And this is a good mindset to apply to your landing pages. If you want visitors to take action, don’t create hurdles. This is where a simple lead capture form comes into play. 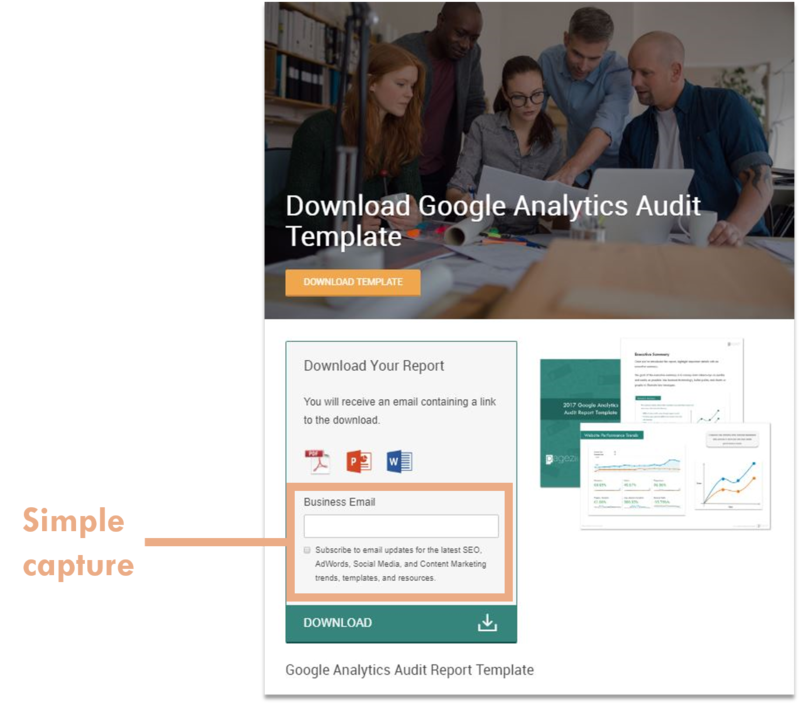 Keep your lead capture form simple. I like to ask for email address only. Because visitors are busy and don’t want to fill out long forms. The less information you ask, the higher landing page CRO you can expect. Your visitors are shopping around. Going from site to site looking for getting offers behind a landing page. So, to increase conversion rates, you have to make your lead capture a no-brainer. You never want to kill a dish by adding too much. Same goes for your lead capture forms when it comes to landing page CRO. A customer testimonial acts as a reference for your offer. It shows new visitors that what you provide works in practice. It’s like an awesome restaurant review. When new visitors land on your page, you only have a few seconds to convince them that your product/service is better than others. To do that I always suggest using testimonials on landing pages. Show the faces of the people that are using your product so that your new potential customer feels like he could be that next person. 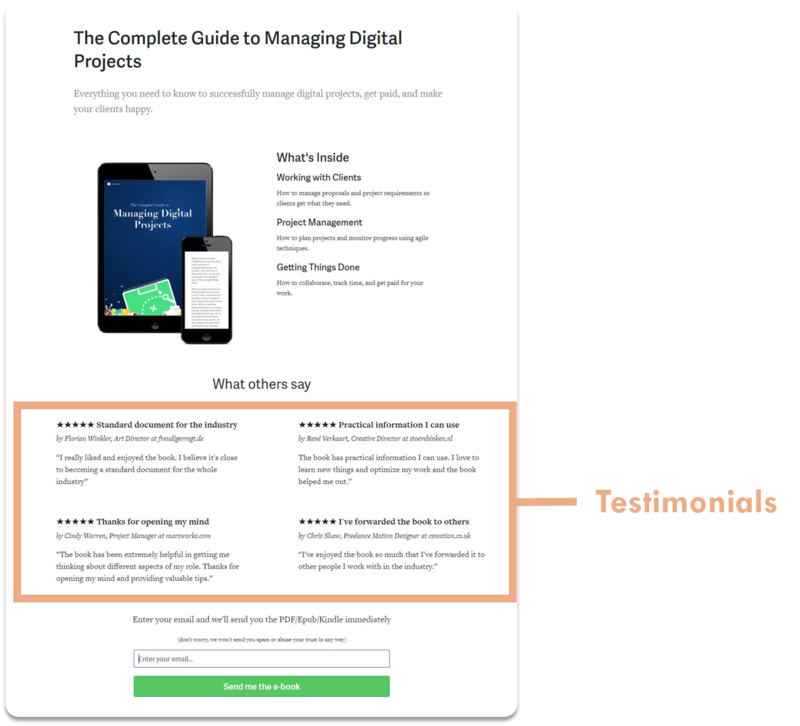 Pick testimonials that show how product took users from point A to point B.
I have seen testimonials completely shift the performance of a landing page. I’ve seen conversions boost 35% by adding logos of companies that are using the product. It’s a must-use landing page CRO technique. This is Active Collab’s Complete Guide to Managing Digital Projects. And you can see from their landing page, they don’t shy away from awesome testimonial use. There are 4 different testimonials used. All touching on different benefits from the offer. Each testimonial shows a name, position, and company. This builds up trust. You can look these testimonials up and see they’re real project managers. They’re positioned right above the call-to-action. The perfect final “push” to help improve landing page CRO. A call-to-action is the end game when it comes to landing pages. So push visitors through the gate by making your CTAs action-evoking. Marketers can boost landing page CRO by ensuring that the call to action (CTA) button text is clear, relevant, and exciting. So, what does this type of CTA look like? “Start [X]ing Now” is an example. It’s clear – Start – start reaping the benefits. It’s relevant – [X]ing – the primary offer of your landing page. And it’s exciting – Now – start getting what you want right this second. Their detailed CTA copy combined with a simple lead capture is are the perfect ingredients for landing page CRO. Video is a content engagement booster. And taking advantage of video on landing pages is a good idea. Think of like a delicious appetizer before the main course. If you want your landing page to resonate with people, add a video. If your product or service is even a little bit difficult to understand, an animated explainer video is a great choice. Animation is more compelling to watch than a live-action video, it will help with your SEO by keeping people on the page longer, and it will give page visitors a clear sign of what your offer is. We know video is an engaging content format. But why is that a key ingredient to landing page CRO? Because it brings your visitor one step closer to completing the call-to-action. Think of your landing page video as a baby step towards the end goal. If the visitor clicks to play your video, that’s one baby step. Then watching the explainer video itself is the next. This brings you closer to a conversion than you were without it. We’ve now covered landing page CRO ingredients before visitors hit the landing page, and while they’re on the page. So let’s end the recipe with analysis and research. Landing page segmentation is about figuring out what works. And this is the crux behind landing page CRO. It’s how you figure which content passes the taste test. Traffic source has a huge impact on landing page CRO. And because traffic has a huge impact, you need to segment landing pages based on traffic sources. My brand uses three influencers to generate traffic. I would set up three different landing pages, each tailored to that individual influencer. And once you analyze which landing page subsets have generated higher conversion rates, you can begin to focus your efforts accordingly. Segmenting your landing pages is split testing. This is when you use unique landing page content across different pages all leading to the same offer. And it’s an awesome way for discovering what your audiences prefer. 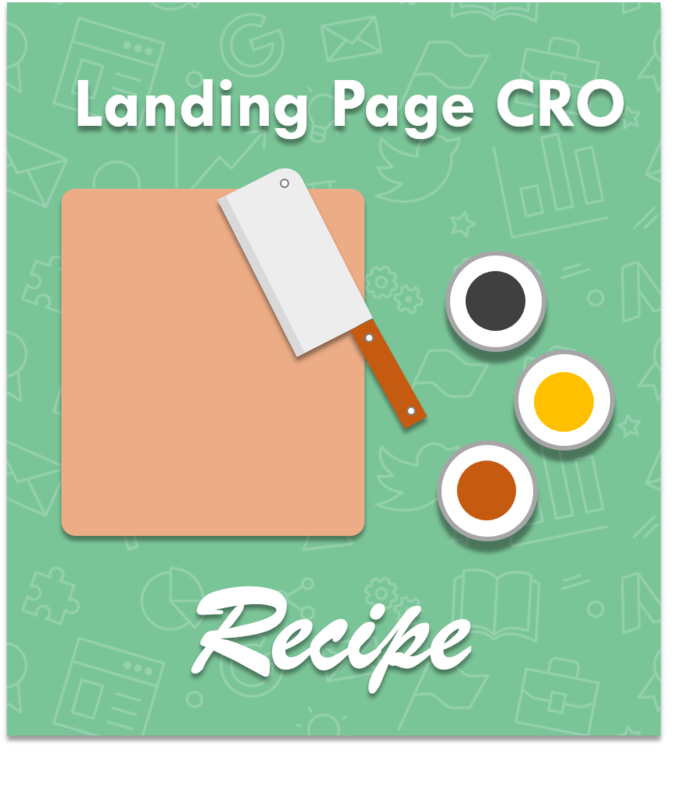 You now know the recipe for landing page CRO… So it’s time to start cooking! Are you using these landing page CRO ingredients? Make sure you are with the Pagezii UX Grader Tool. 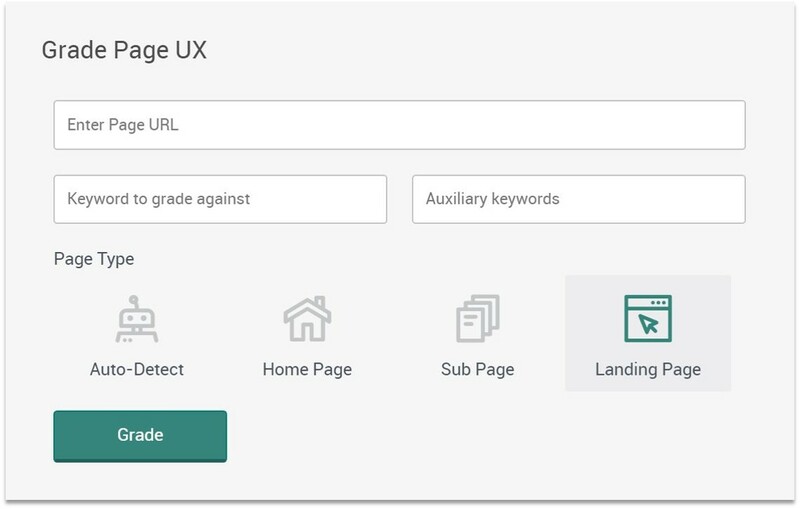 Just enter your landing page URL, set the tool to “landing page”, and get your detailed page analysis.